Golden State Fruit presents a generous 2 lb. assortment of sweet and savory roasted nuts. Six mouthwatering flavors of roasted nuts are individually sealed for freshness, and hand-packed in our signature deep brown tin. 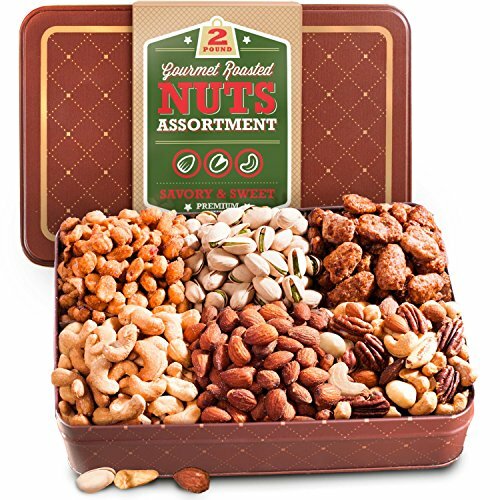 An assortment of 6 different types of sweet and savory roasted nuts packed in a gift tin perfect for snacking!